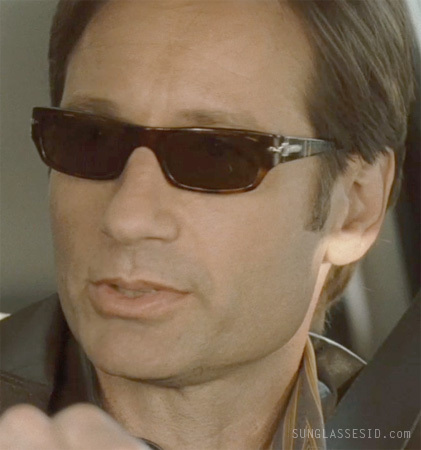 David Duchovny wears Persol 2867 sunglasses in the movie The Joneses. 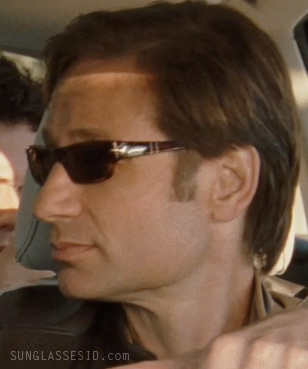 He wears the sunglasses most of the movie, only trading them for Ray-Ban Aviators in one scene. The Persol shades have a Havana frame, but it's hard to tell if it's the version with light Havana and orange glasses or the dark Havana and grey-green lenses.